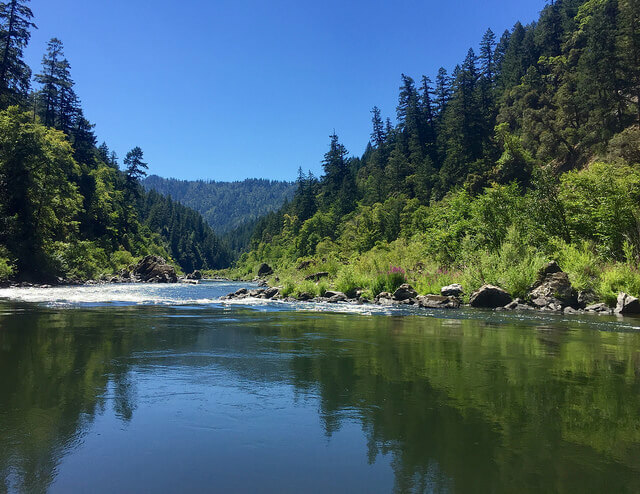 If you are looking to visit wine country in Southern Oregon’s Applegate Valley or escape for a romantic weekend, Jacksonville Inn offers an ideal spot for the many things to see and do in this Historic Landmark town. My husband and I were visiting during the winter holiday season enjoying the gold-rush era town all dressed up for the holidays. Located in the heart of downtown, the historic hotel caters to leisure travelers, yet can also accommodate small business gatherings. An inn of many opportunities, it offers affordable rooms, honeymoon cottages and fine dining. The hotel, built in 1861, offers 8 rooms – some pet-friendly – and four honeymoon cottages nearby. We opted for the Robbie Collins Cottage #9 because it was dog-friendly and romantic. There are four steps up to the cottage, and it comes with its own driveway and a garden out back. It’s off street location makes it ideal for those seeking privacy, yet guests may walk over to Jacksonville Inn to enjoy the complimentary breakfast. Breakfast is served at the Inn from 7 – 10:30 a.m. Monday – Saturday and Champagne Brunch is served on Sunday from 7 a.m. until 2 p.m. 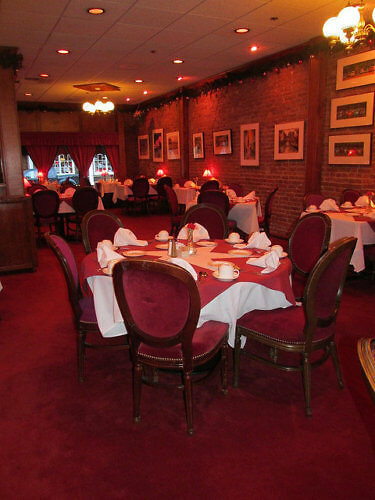 Guests receive a $15 credit (check website for current pricing) per person towards breakfast. Complimentary coffee, tea, hot chocolate and apple cider mix are stocked in the wet bar. The cottage also includes a mini fridge and honor bar snack basket. 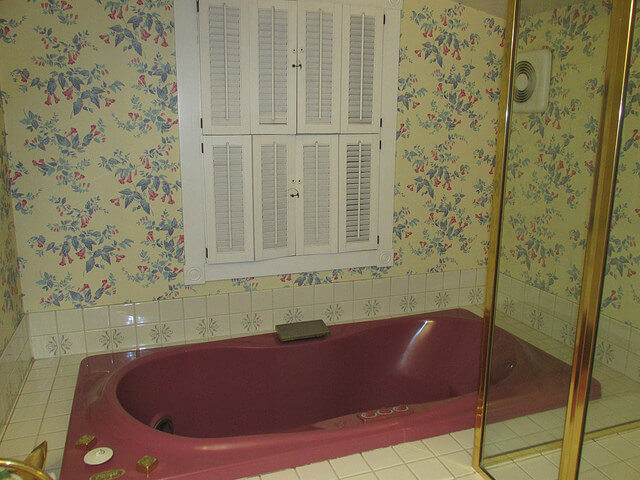 The cottages all include whirlpool tub (with bath salts) steam shower, plush robes, fireplace, wet bar and private garden patio. 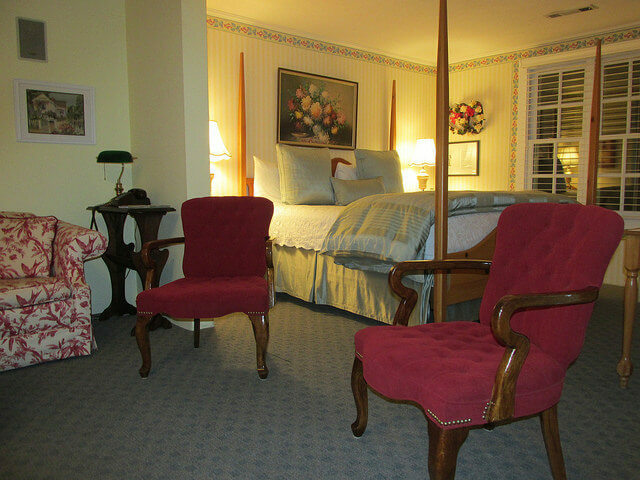 Hotel guests rooms at Jacksonville Inn feature queen-sized canopy beds and all accommodations include a full breakfast. The entire inn has complimentary wireless internet, as do guest cottages. 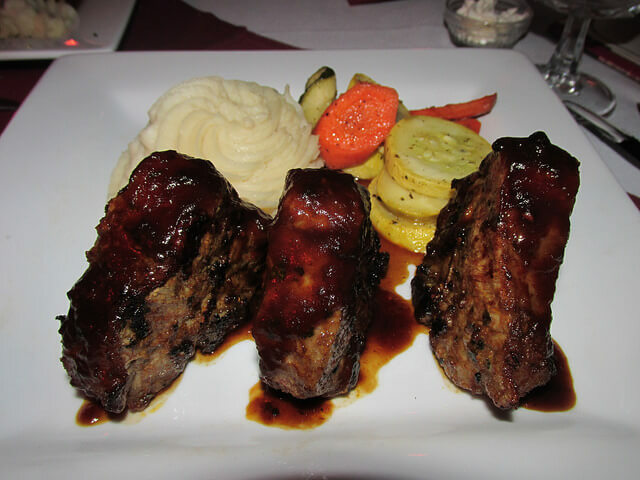 What makes the Jacksonville Inn special is the romantic dinners offered in the hotel. Be sure to make a reservation one night and take advantage of the award-winning wine list – the lamb pairs wonderfully with an Oregon Pinot Noir. However, my insider tip is to be sure to save room for the inn-made desserts. I know my cakes and pastries and this place knows how to deliver sweets – perhaps with a spot of port to end your special evening? The Bistro is good for filling, hearty entrees; I enjoyed a huge Cobb salad. Summertime offers patio dining. The hotel’s Jacksonville, Oregon location makes it an excellent choice for those wishing to attend the Britt Music & Art Festival. Be advised to make your reservations well in advance of this popular summer event. The Jacksonville Inn neighborhood is chalk full of charming shops, coffee houses, dog-friendly wine tasting rooms and restaurants. 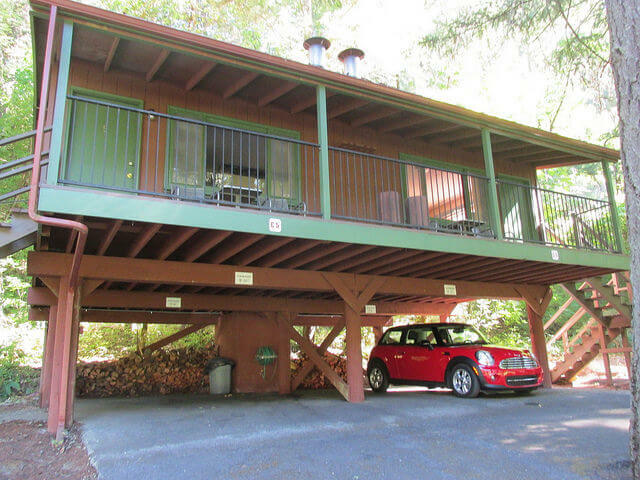 Its location in the center of Southern Oregon, near Medford, Ashland and Portland, make it an easy drive for all comers. We drove up from the San Francisco Bay Area and found it to be a trip worth repeating. Rates for a historic room start at $159, including breakfast. Jacksonville Inn is a member of Unique Inns. For more information on Southern Oregon visit their website. 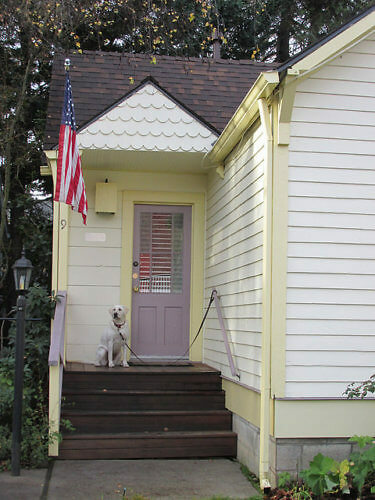 Review by San Francisco-based travel writer and bed and breakfast aficionado Nancy D. Brown. She was recently in Southern Oregon researching B&B’s for an online article. All photos courtesy Nancy D. Brown.